The Twin in Berlin: "There Are No Exceptions, EVERYTHING Is Apart Of God's Plan." "There Are No Exceptions, EVERYTHING Is Apart Of God's Plan." Today is my 13 month mark!!! Anyway, I just have to start off with news about Lübeck, since I've been here, HERR DEVERS and their daughter JULIKA have been baptized!!!!!! AND this past Sunday Schwester Devers received her Patriarchal blessing!!!! They are just doing so well!!! 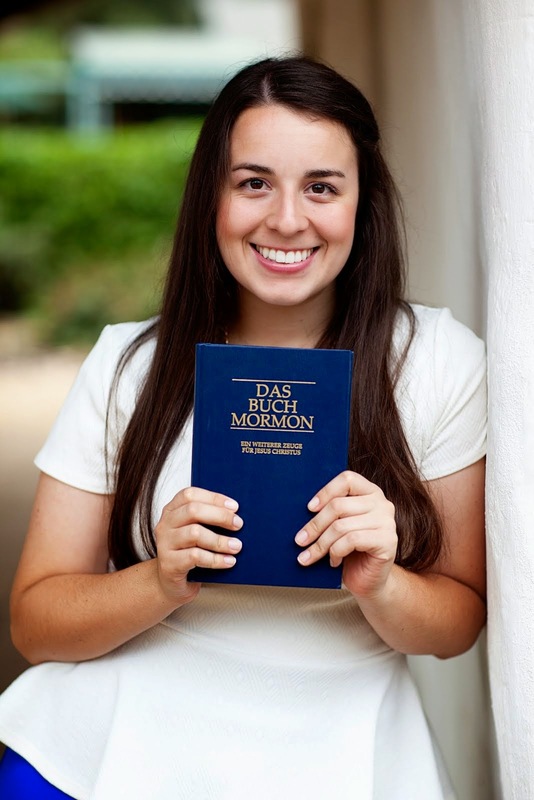 I write letters with Schw Devers and it is just such a miracle to see how she is progressing in testimony. I am so proud of the progress she has made and I love her tons. Seeing those we love happily living the Gospel is one of the greatest blessings we can enjoy, I know it. Quick highlight of the week, Rene, Holger's neighbor, couldn't meet this week, but he texted us yesterday morning and asked if he could come to church and Sunday School!! wahhhh it was so cool, haha I think that's the first time on my mission someone has ever asked me if they could come to church with us :)) It was testimony meeting, and he really enjoyed it! He wants to make sure he can meet with us this week, what what!!! WELLLLL on that note. Not a lot of time today but I want to tell of an important experience that happened this week. Pretty lame to be honest. Sooo we went to talk with Doreen, and it all went downhill. She had read some anti Mormon literature about the temple, and even when we tried to explain it, she just wouldn't listen. She said none of it was for her and that she could never get baptized in our church. Last week we had felt the spirit soooo strongly there with her!!! I could see it in her eyes!!!! And here we were trying to save it all oh so unsuccessfully. And of course as I sat there I realized there was nowhere I would rather be than sitting in the Temple. So we left, still with a solid friendship thank goodness, but then we got into the hallway and my tears just started coming down. We got outside, found a little ally, and CRIED for about 20 minutes. It was raining, so we just stood against the wall under our little covering and watched the cars drive by. Thinking. Praying. All the good stuff! Have not cried like that for a while. Situations like this happen all the time, so it was nothing too new, but I think a lot of it had been bottled up inside of me. The Germany Berlin Mission is no easy mission, let me tell you! And after a year I was feeling pretty down. I think I was just asking Heavenly Father how he handles it, and how it all will work out. I know that everything is possible. I know that everyone has the ability to accept the restored gospel, but in these moments it sure didn't feel like it. I felt such a love and a longing for the people here, like Doreen, for whom it all seems so unlikely and so impossible. I was feeling pretty low. The heartache was strong. I wanted to go home, to be honest! I mean, going home is totally not even a question for me, I never actually would, but the desire was there. As I was pondering, a thought came to mind that I had that very morning written down. "There are no exceptions, EVERYTHING is apart of God's plan." That was really what I needed that afternoon. I may think that somehow Heavenly Father's plan has gone wrong, that someone has done something to get off the path and now their hardships are too much or too great, but that IS TOTALLY WRONG. All of it, alll of it, He has taken care of. He knows that everything can work out. Nothing is too extreme for Him. No circumstances are too drastic. No person is too far away. God is our Father. He is perfect. And His plan is perfect. I am grateful that I can put full trust in him, EVERYTHING WILL BE OKAY. I know it! I will stay here another 5 months and endure what may come, because I know that this is true. 3 Nephi 13:34 Take therefore no thought for the morrow, for the morrow shall take thought for the things of itself. Sufficient is the day unto the evil thereof. I am stoookked for General Conference!!! Seriously so excited!!! All this week I will be thinking of questions to take in, I challenge you all to do the same!! I know that God has called a prophet and apostles for us in these latter days. How blessed are we. Alles gut! The Gospel is true!